Wednesday nights seem bleak without fans’ favorite criminal drama, Criminal Minds. The show is set to return from its mid-season finale on January 15th with a highly anticipated episode. This will mark the 198th episode of Criminal Minds. 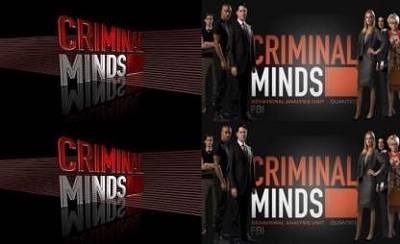 The 200th episode is one that will bring back some familiar faces that are no longer seen on Criminal Minds. Criminal Mind’s Episode 12 is titled, “The Black Queen” and it mainly revolves around the tech expert, Penelope Garcia (Kristen Vangsness). The BAU (Behavioral Analysis Unit) travels to San Jose to investigate a string of homicides. The Justice Department’s website is hacked and Garcia knows the hacker. We get to see more into Garcia’s criminal past. We have been told before that Garcia was a hacker before she joined the BAU and now we will get to see exactly how she ends up joining the BAU. Shane Wyeth (Paolo Costanzo) is the one that hacks the Justice Department’s website. He is also Garcia’s mentor and former flame. Episode 13 is titled, “The Road Home”. The BAU travels to Cleveland to track a vigilante killer. JJ (AJ Cook) has been keeping a secret from her team that will slowly end up catching up with her. It includes the new section chief Mateo Cruz (Esai Morales). The closeness between JJ and Cruz has raised many eyebrows with fans questioning whether or not they had an affair. Here’s some scoop, it is definitely not an affair. They worked together the one year that JJ was away from the BAU. She was working for the State Department. What they are hiding is something that they can’t tell anyone. Rossi’s (Joe Mantegna) former Marine’s sergeant goes missing so he heads up to Los Angeles to find him. Episode 14 is aptly titled, “200”. It marks the 200th episode of Criminal Minds and you definitely cannot miss it! The episode will be in present day and flashback mode to tell the entire story. The truth about JJ and Cruz will be revealed in the episode. For fans who felt the show wasn’t the same without Emily Prentiss (Paget Brewster) can celebrate as she will be making a guest appearance as well as Erin Strauss (Jayne Atkinson). No, Strauss will not be coming back from the dead, but she will probably be seen in the flashbacks. Show runner Erica Messer promises that the 200th episode will tie in and fill in the blanks for all those who watched all 199 episodes. These episodes leading up to the 200th are definitely much anticipated for fans. Which story are you looking forward to the most? Let us know and stay tuned to Fuze for more updates.